Place of Birth: St. John's, N.L. Liam Hickey grew up as a regular in his community’s stand-up basketball program from as early as kindergarten. It wasn’t until he was 10 that he first got introduced to wheelchair basketball through the local Easter Seals program. From that point on, he was hooked by the game’s high rate of speed and intense contact. To gain experience playing competitive basketball Hickey began to play for the PEI Mustangs in the Maritime Wheelchair Basketball League (MWBL), which has allowed him to compete against and learn from other top players. 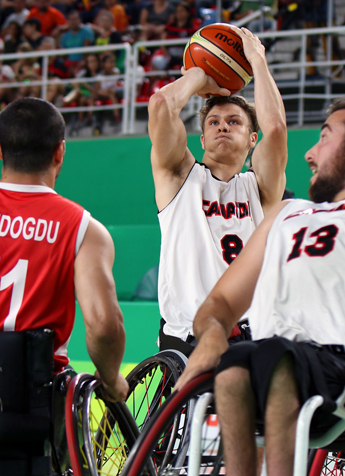 Playing in the MWBL means a lot of travelling and fundraising for Hickey and his family, but he says access to good competition is important to the development of his game. The travelling paid off for Hickey, who was named to the Men’s U23 National Team that competed at the junior men’s world championship in 2013. In 2015, Hickey earned a roster spot on the Senior Men’s National Team. He competed at his first Paralympic Games in 2016 in Rio de Janeiro, Brazil. 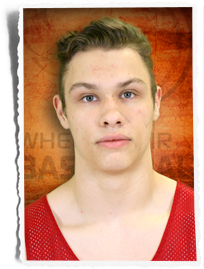 Outside of basketball, Hickey enjoys riding his dirt bike, fishing, playing baseball, playing sledge hockey and most recently, golf. His role models are his parents.